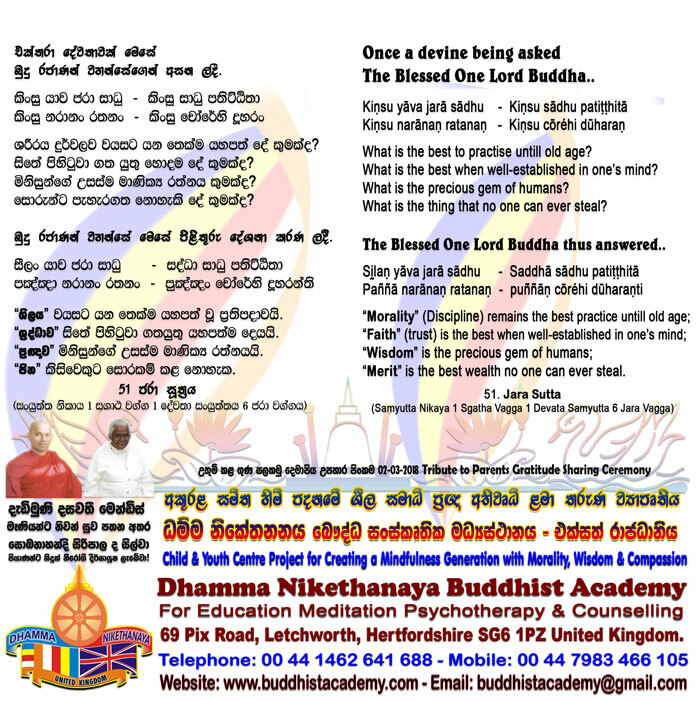 May Loving Mother Mrs D. D. Mendis Attain Supreme Bliss of Nibbana! Venerable Bhante Samitha Akurala is visiting Sri Lanka to host a series of Special ceremonies to commemorate the Loving Memory of Beloved Mother Mrs Dedimuni Dasawathie Mendis on Full Moon Day 01st, 2nd & 03rd March 2018. Whole Night Pirith Chanting would be able to listen online from our website Dhamma TV Channel. 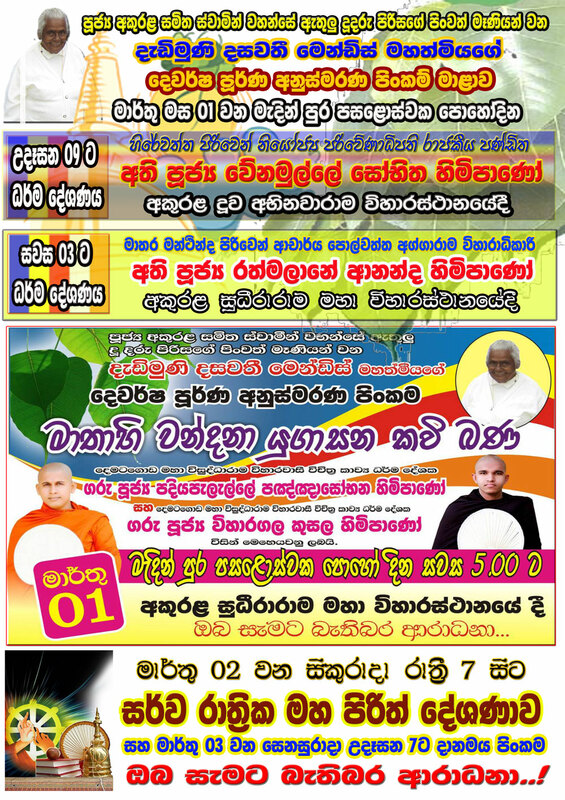 Special Ceremony to Commemorate the Life of Beloved Mother of Venerable Bhante Samitha Akurala will take place in Sri Lanka starting from Full Moon Day 01st March till 03rd March 2018. This will takes place in Sri Lanka this year. All are cordially invite to attend! Friday 02nd March at 7PM till 6AM on next day Whole Night Protection Blessing Chanting (Sarvarathri Maha Pirith Desanawa) & Offering food all the participants. Distributing School Items and necessities for 1000 needy children in disadvantage families & villages in Sri Lanka.